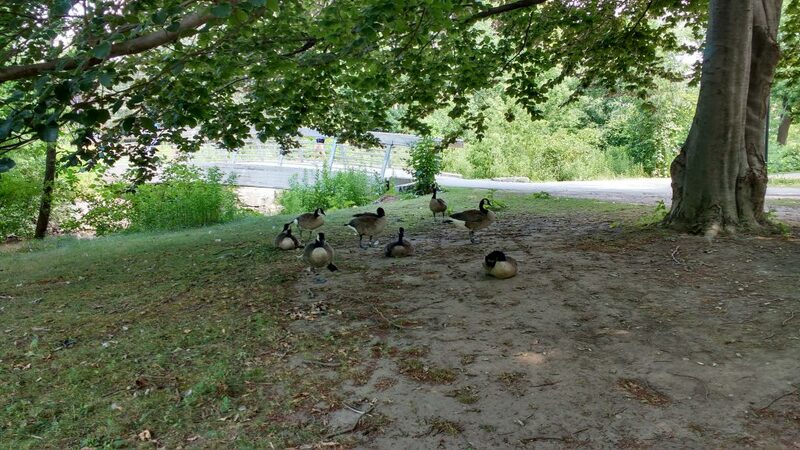 This is a guest post from Geothink Post Doctoral researcher James Steenberg, Ryerson University School of Urban and Regional Planning, working with Dr. Pamela Robinson. He writes about his experiences in Geothink’s student exchange program. 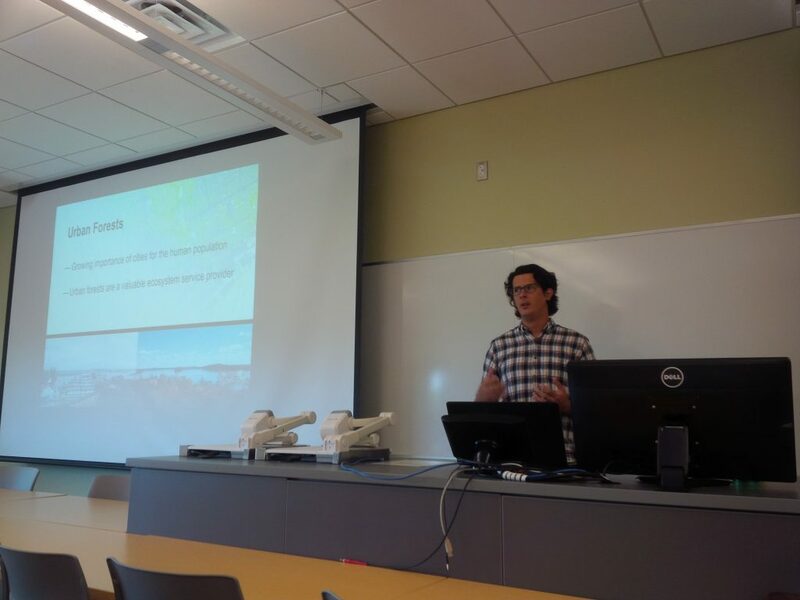 I recently undertook a three-day Geothink Summer Exchange at the University of Waterloo. My mission: to find out what, if anything, open data has to do with the practice of urban forestry. I am currently a postdoctoral researcher under the supervision of Dr. Pamela Robinson at Ryerson University’s School of Urban and Regional Planning. Dr. Robinson was also on my PhD committee and over the past three years we have been blending our ideas on urban forest ecosystems, urban planning, citizen science, and open data. Open data and open government, in particular, are something that I’m excited about, but the topic is still quite new and unfamiliar to me. I was therefore incredibly fortunate to have the opportunity to seek out the guidance of Geothink co-applicant Dr. Peter Johnson. Dr. Johnson is an Assistant Professor at Waterloo’s Department of Geography and Environmental Management, where among a great many other topics he conducts research on the value of open data and its role in open government initiatives. My hope was to learn about open data and open government from Peter and his students with the ultimate goal of writing a collaborative paper about the role of open data in municipal urban forestry. Practitioners of urban forestry are faced with a myriad of management challenges due to the complex, rapidly-changing, and vulnerable state of urban forest ecosystems. Two challenges particular stand out: 1) practitioners lack sufficient data describing the state of the urban forest to inform their decision-making and 2) a large portion of the urban forest is situated on privately-owned residential properties and municipal governments need to engage residents to undertake stewardship activities. We began the three-day exchange with one of my favourite things to do: having a conversation about how to write something together. This was followed by a meet-and-greet lunch with Dr. Johnson’s students. I was also given the opportunity to give a presentation to students and faculty in Waterloo’s Faculty of Environment. I discussed and received feedback on my current research with Dr. Robinson investigating the effects of housing renewal on urban trees, which was the original research that led us to believe there was more to uncover on open data and urban forests. Over the course of the exchange, I learned about a number of fascinating research projects ranging from citizen engagement to volunteered geographic information (VGI) to water management. It can be all too rare an opportunity to hear about on-going research projects that are outside of my discipline, and I found it insightful in guiding my own work. For instance, I learned about Qing (Lucy) Lu’s research and recent publication on how Edmonton citizens engage their government through different communication channels and technologies. Citizens and community groups also engage with their urban forest in many different ways, and arguably open data is one such way that is on the rise. 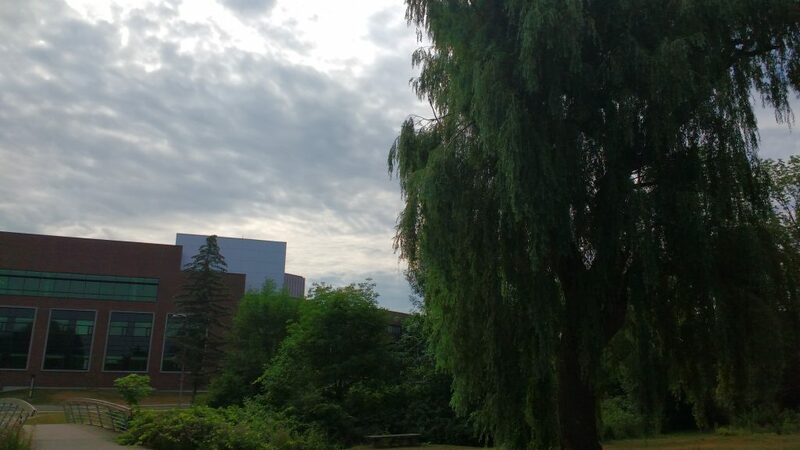 In a serendipitous discovery, Lucy’s paper inspired me to explore Edmonton’s open data portal where I saw that the government leverages open data and the geoweb in their urban forestry. The City’s yegTreeMap initiative not only provides people with open data describing the urban forest and its benefits, but also provides an interactive mapping platform and even allows city residents to input data about their favourite trees. I wrapped up my time in Waterloo with Dr. Johnson by revisiting a potential paper on the role of open data in municipal urban forestry, which was now appropriately seasoned with new ideas. In particular, I was challenged to think that maybe it’s not just about how urban foresters can use government open data to advance the practice. Perhaps our inquiry could be expanded to the full Geothink mandate of understanding citizen-government interactions. In Edmonton, citizens can engage their government by participating in urban forest data collection while municipal urban foresters can make better decisions with a more complete and up-to-date tree inventory. Can people and trees alike reap the benefits in cities that practice open urban forestry? This is the question I returned home with, and I will continue to investigate until answered. My sincere thanks to Geothink for giving me the opportunity to go on a summer exchange at the University of Waterloo. Thank you to Dr. Peter Johnson for hosting me at the Department of Geography and Environmental Management and for introducing me to your students and colleagues. To the Geothink community members: please don’t hesitate to contact me if you have further questions or if you are considering going on a summer exchange yourself. Stay tuned for James’ next post detailing his research. This entry was posted in In The News and tagged geothink students, James Steenberg, Peter Johnson, University of Waterloo on August 4, 2016 by Geothink.